200 School Sponsorship Students… FUNDED! Thank you, thank you, dedicated donors, for helping our School Sponsorship program to expand, sending more kids to school in 2018 than ever before. 200 kids who would not have the chance to attend school are now IN SCHOOL and learning! We believe in the value of education, and so do these students and their families. You made this epic enrollment possible, and we are so very grateful for your support during our annual school sponsorship campaign. Our staff has been working hard with regional education offices serving rural families to select students in rural communities who need the most support. 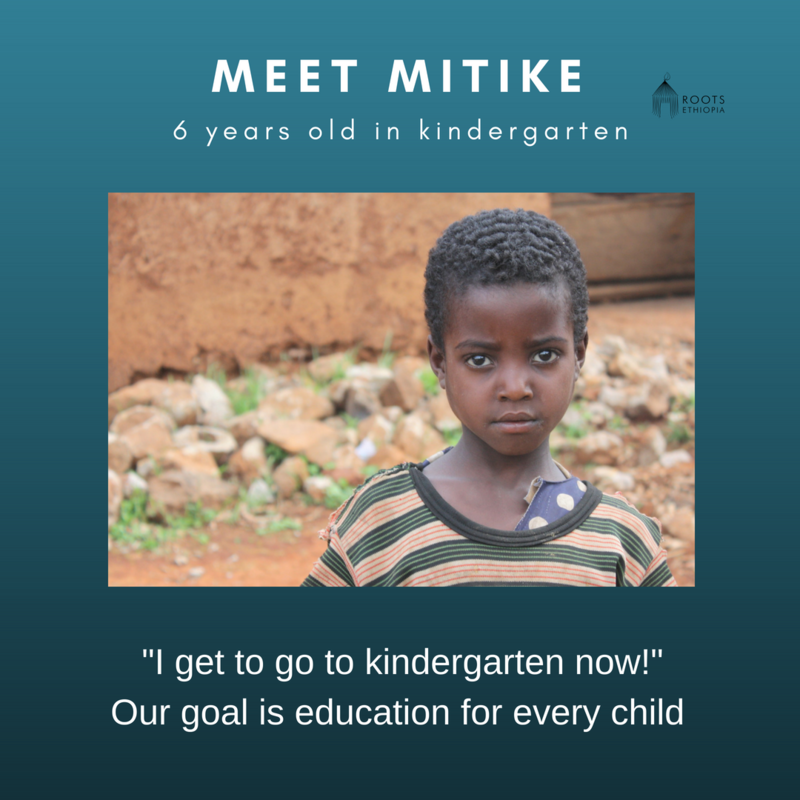 Our close work with the local ministers of education and elders mean children like Mitike are now enrolled in school. Bursting with pride, students put on new shirts, sweaters, and shoes immediately. They look through their backpacks to discover pens, notebooks, protractors, soap, lotion and more. Older students receive calculators and older girls get additional personal hygiene products too. It’s a very exciting time for each of these students. Did you know all school sponsorships include food support? Families like Wondwossen’s can focus on sending him to school every day, instead of sending him to work for the family’s daily food security. These are all the pieces that go into school sponsorships. We do this every year, and we KNOW your gifts sustain our work with students. We really appreciate all of your support — and we want you to know that YOU make a difference. Thank you!